Decorating - Whatever Happened To Those Kitchen Chairs? Inquiring minds want to know and today I am going to blow the lid right off that story. But first, for a look back click here. In October 2010 I had posted about current works in progress. Then I promptly moved on to new things. Mainly, I moved on to the craziness known as the holidays. Although the chairs were finished and in use by Thanksgiving I never got around to sharing some photos of how they turned out. I have always loved the idea of bright colors in the kitchen and decided they needed a fresh coat of deep red. Here is one of my beauties acting as a pie stand. Here is the rest of the bunch along with The Little Guy’s red high chair peeking out from the other side. I think they look smashing with our black painted table. We had the leaf in for company, but normally our family of three uses it as just a small circle. I also feel like these play well with the pink striped wallpaper. Yes, the current colors of my kitchen (due to no fault of my own) are two shades of pink, deep red, aqua, black and white. It’s sort of Mary Engelbreit’s version of the Art Deco era. BTW-Those roses perched in the middle were from one of our patio plantings. It was November and those little rose bushes were still pumping out blooms- unreal and quite the treat! 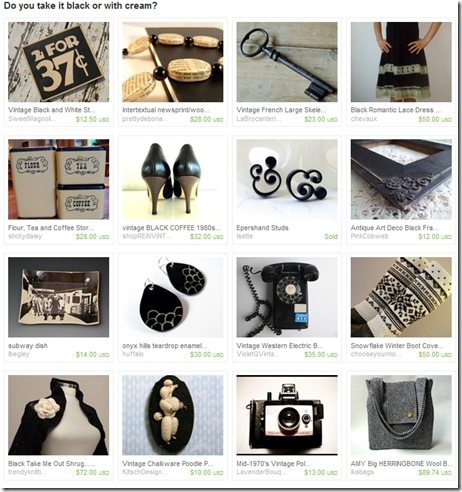 Etsy Treasury–Do You Take Yours Black Or With Cream? Yeah! The little black and white poodle plaque that I just listed in my Etsy shop is currently being featured in an Etsy Treasury. 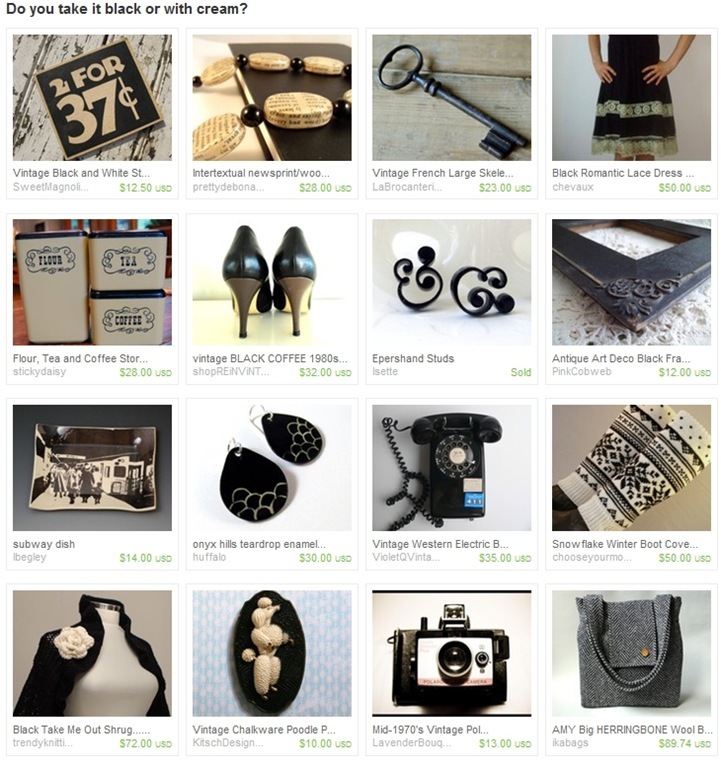 Falling For Pieces, a super cute quilt and craft shop on Etsy.com curated this fabulous black, white and cream Treasury. Check it out here and don’t forget to add a comment. Or, better yet, click through and buy something cool!